Become a data-driven organization. We’ve all heard that before. It’s been a major objective for many companies during the last decade, and some for even longer than that. But what does it mean, particularly for marketing and communications teams? And how do you keep all that data from stifling creativity or having the opposite of its intended effect: creating inefficiencies or bottlenecks. A quick perusal of recent Adweek articles will tell you all you need to know about marketing teams and data overload. Research from Adobe shows that marketers never access 97 percent to 99 percent of the data they collect because they don’t have the resources to deal with its overwhelming volume. Another recent study found that 99 percent of marketing leaders believe data is critically important, but 62 percent are unable to turn it into insights or action. Define Key Performance Indicators (KPIs) that matter. When IT sends an email about a new Business Intelligence (BI) or visualization platform your company is rolling out, don’t just push it to the bottom of your never-ending to-do list. We all know the saying: garbage in, garbage out. If you send IT a laundry list of possible metrics to measure, you’re going to get back a whole lot of data and reports that don’t really help you to understand a whole lot. Take the time to sit down with your team, discuss current and future strategies, and choose the most important KPIs to start with. Then explore each KPI in the context of individual campaign/project goals, companywide goals and industry standards. Wait until you clearly define what data is most important to understand before you start building your reports and dashboards. Turn reporting into analytics. Anyone can share numbers about a project or campaign. But your leadership team wants to know more than how many employees are using the internal portal or how many companies clicked on a recent press release. What’s the actual level of employee engagement with the portal and what are the factors that are driving them to engage (or not engage)? Which companies clicked on a press release and later entered the sales funnel? 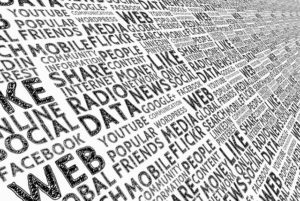 Are press releases more successful when social engagement is high? If you’ve taken the time to define the appropriate metrics to track (see step 1), you should be able to easily find these answers. Don’t be afraid to ignore the data every once in a while. Sure, the whole idea of a data-driven organization is to make smarter real-time and future decisions based on data. Many marketing campaign planning sessions today start with data, but we need to find a balance so we’re not abolishing the creative method altogether. Encourage a data-driven creative process, where you understand your targets and opportunities based on data but don’t stifle creative perspectives that may not necessarily fit into your dashboard. The creativity that people can bring to the numbers is what makes the data useful. At the end of the day, the business world runs on data and that’s not changing anytime soon. If you want to be successful in your marketing and communications endeavors, you don’t have to become a data scientist, but you do have to embrace the data and make it work for you.